How to Take Care of Leather Sofas? Leather is the most durable kind of furnishing and requires very low maintenance. Although you should constantly keep taking care of it to avoid the damage. Nevertheless, you need to follow proper steps in order to keep the chair, sofa and ottoman safe. The different kind of leathers require different kind of treatments. Since, you will be taking care of the leather, you need to be aware of what kind of leather the furniture set is. You can easily identify the type of leather by following certain steps. 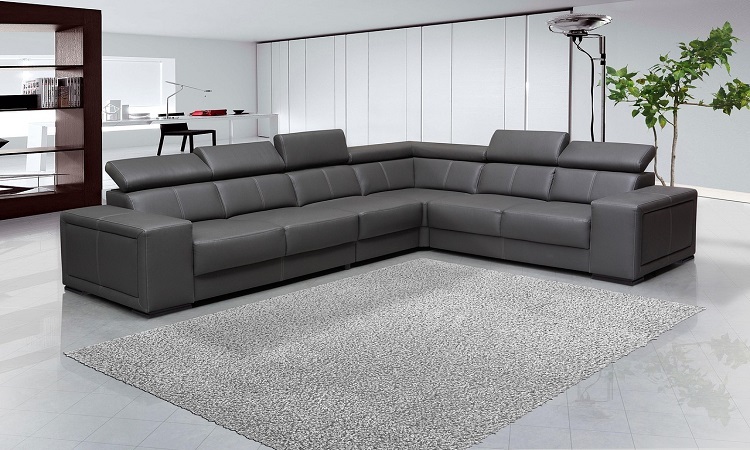 You would first need to determine what kind of leather upholstery you have. To do so, you would need to check the label or the written materials which were attached to your furniture set. You can even check about it on the official website of the retailer or the manufacturer. You can look out for the clues, if you cannot determine any of the instructions. This kind of leather is also referred to as full aniline, pure aniline or unfinished leather. This leather usually has the soft feeling on being touched. Nevertheless, this leather adds to the luxury in your house. The aniline dye is used upon the leather, Nevertheless, no external pigment is used for coating the surface. Usually, natural markings and grains are observed in this kind of leather. This leads to the development of patina. Aniline leather is a bit expensive compared to other forms of leather. Compared to the protected leather, this unprotected or aniline leather is easily prone to damage. The different kinds of aniline leather are pull-up leather and nubuck leather. Oils and waxes are injected into the pull-up leather. The other kind of aniline leather, nubuck leather is the one which has a soft and velvety feeling because of the buffing. Maximum furniture is made up of finished leather or protected leather. These are also known as semi-aniline, pigmented or aniline plus pigmented leather. Compared to the unprotected leather, the protected leather is more durable, resistant to stain and more attractive in the uniform appearance. This furniture is better in appearance compared to the aniline ones. The semi-aniline leather is dyed with aniline and has a coating of a pigmented color over it. It has the similar velvety touch or the soft feeling like that of pure aniline leather. Nevertheless, it is more durable than the others because of the coating of the pigment over it. The other kinds of protected layer have a coating of thick pigments and polymer. This leather has a stiffer feeling. It is very hard to damage such a leather. How do you care for the leather upholstery? You can take care of your leather upholstery by taking the right steps. When it is about cleaning the leather upholstery, many people tend to go for DIY things. However, it should be avoided because a small mistake can lead to blunder. Do not try out your home remedies for getting rid of the stain on your leather. These edible things should be limited to food themselves and not encouraged more. Experts say that they have witnessed their clients damaging the leather because of the usage of edibles in the leather. You should know that the warranty upon your leather furniture would ceased the very moment you try all the wrong products over your furniture. Experts suggest that you should not be using any product that has not been sanctioned by the tanneries. Vacuum cleaner with a brush attached to it. White microfiber clothes that are soft. Nondetergent liquid soap with a mild, neutral ph. For this you can use any non-detergent soaps such as Dove or Neutrogena. You can even choose to use a leather cleaner which is recommended by the furniture upholstery. One of the optional things you can try includes commercial leather conditioner. How to clean unprotected leather? moving on to clean the furniture. How to clean protected leather? Semi-aniline and protected leather can withstand the heavier mode of cleaning. You should refrain from using products that contain alkalis as it can damage the leather which cannot be easily treated. Caustic cleaners, detergents, soaps and oils too must be avoided while cleaning the protected leather. To ease the process of cleaning you should take into considerations the measures set up officially. You can always choose to buy Mckinley Leather Furniture within your homes, as they enhance the look of your home. When you get a sofa set, ensure that you take proper care of it so that it lasts for a long time. Why Should We Go Through the Procedure of Roof Inspection?